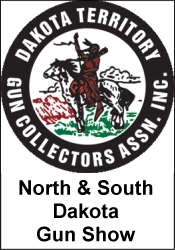 iGunShows – your resource for gun shows, knife, prepper, and militaria shows. Find events within Any 50 100 200 300 400 500 miles of zip with keywords The keyword search allows you to search listings using keywords and keyword phrases to help you find specific things. 1. List multiple items separated by commas to conduct multiple searches at once. 2. For an exact phrase, just enter what you want. 3. The keyword search will search the listing title, location and city. 4. Using keywords is optional. To find all sales in a specific area just use the zip and miles portion of the search.